Here you can find all info about Amnesia Auto CBD from Dinafem. If you are searching for information about Amnesia Auto CBD from Dinafem, check out our Basic Infos, Gallery, Shop-Finder and Price Comparison or Lineage / Genealogy for this cannabis variety here at this page and follow the links to get even more information - or list all Amnesia CBD Strains (±2) or even all Amnesia Strains (149) to find a different version. If you have any personal experiences with growing or consuming this cannabis variety, please use the upload links to add them to the database! Amnesia Auto CBD is a ruderalis/indica/sativa variety from Dinafem and can be cultivated indoors (where the plants will need a flowering time of ±73 days) and outdoors. Dinafems Amnesia Auto CBD is/was only available as feminized seeds. Its incredible flavour, productive capacity and ease of cultivation have made the Amnesia genetic the most sought-after in the Mecca of the cannabis world: the Netherlands. Its powerful psychoactive effect and delicious aroma of lemony Haze have made it one of the great cannabis dynasties. Well, our breeders wanted to create a new CBD-rich, automatic version of this genetic and make it available to everyone. Thanks to Amnesia Auto CBD, the gustative, olfactory and productive qualities of Original Amnesia are now available to novice growers and consumers less tolerant of THC. Following the line of work that we undertook in 2016, when we launched a complete catalogue of cannabis strains rich in CBD, featuring our best genetics, in 2017 we aim to keep on refining these offerings by creating versions of our favourite seeds rich in cannabidiol. Thanks to the hard breeding work done by our technical team, with the invaluable help of Dinalab, once again we have managed to create genetics conserving the characteristics of their dynasties, but with milder effects, due to their high levels of CBD. They conserve the same smells, aromas and flavours, but without the strong psychoactive effects of THC, since these are strains rich in CBD, and this cannabinoid counteracts the symptoms of tetrahydrocannabinol. The first of the new seeds for the 2017 season that we would like to present is Amnesia Auto CBD. This strain combines all the productivity, aroma and vigour of the Original Amnesia with the properties of CBD and the advantages of automatics. Its elite lineage, sustainability, and speed form a trifecta of qualities that will delight even the most demanding growers. Amnesia Auto CBD is a plant that, thanks to its high levels of cannabidiol, inherited from our elite CBD strain, is accessible to all kinds of consumers: from the therapeutic user seeking the benefits of its 1:2 ratio (THC/CBD) to the recreational user preferring a milder and lighter effect just because it is more enjoyable. Amnesia Auto CBD is, like its sisters Amnesia CBD and Early Amnesia CBD, a predominantly Sativa hybrid. As such, it maintains the characteristics typical of this genotype. However, its autoflowering legacy means it is smaller than its sisters, though in cases of optimised indoor crops, or greenhouse growing, Amnesia Auto CBD can grow up to 1.8 m.
Although this Amnesia is an auto, it's still every bit an Amnesia. An autoflowering strain, it still maintains the original plant's impressive production capacity. Amnesia Auto CBD is particularly indicated for those growers who like to take advantage of the months of heat and light to grow discreet plants on their terraces or balconies. This does not mean that Amnesia Auto CBD is not an equally valid option for indoor crops in which space and speed are key. The Amnesia Auto CBD cannabis strain exudes a very marked aroma and flavour, with tinges of lemon, sweet fruit, exotic woods and Haze. Much milder, Amnesia Auto CBD lacks the tremendous psychoactive effects of Original Amnesia, capable of causing memory loss (hence the Original Amnesia name). Its high levels of CBD, a cannabinoid that counteracts the psychoactivity of THC, make it a plant much more appealing to the general public. But don't worry: Amnesia Auto CBD does produce the pleasant relaxation typical of cannabis, just in a more moderate way. Where to buy Amnesia Auto CBD cannabis seeds? Amnesia Auto CBD from Dinafem is available only as feminized seeds. Regular seeds are not available at the moment. 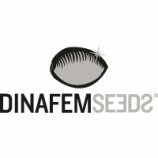 In 10 seedbanks, we found 41 offers between USD 10.46 for 1 feminized seed and USD 512.85 for 50 feminized seeds. If you are looking to buy Amnesia Auto CBD Cannabis Seeds from Dinafem somewhere - have a look to our Amnesia Auto CBD Price Comparison page with all current offers from all the connected seedbanks and shops - or visit one of the following tested, trustworthy and recommended seed-shops directly to check out their current Amnesia Auto CBD offers: Dinafem, Herbies Head Shop, canna-seed.com, Cheeba Beans, Linda Seeds | Linda Semilla, Canna-Seed Seed Shop, Alchimia Grow Shop, Discreet Seeds, Oaseeds and Samenwahl.com. Here you see the latest Amnesia Auto CBD photos, uploaded from our users! Altogether we've collected 1 pictures from Dinafems Amnesia Auto CBD, check out our Amnesia Auto CBD gallery to view them all. Click to show all parents of Amnesia Auto CBD in our dynamic family tree map. Do you know something more about Dinafems Amnesia Auto CBD? Please help to make this database better and upload/connect your information here! Pictures speak louder than words! Upload your "Amnesia Auto CBD" Photos here and help other growers to get a better impression of this variety. You have grown Amnesia Auto CBD together with another variety? Please fill out our Strain VS. Strain direct comparisation form! Our strain reviews are multilingual, searchable and can be very detailed - including data about the grow, aroma, effects and taste! Please upload your Amnesia Auto CBD Review here to help the other seedfinder users! You have experience with the medical qualities of Amnesia Auto CBD? Sharing your information here maybe can help other people! You've stumbled upon a Amnesia Auto CBD related thread into a forum or growers community? Connect it here and enable othe users to find this information fast and easy! You found a related video with additional information or grow-infos about Amnesia Auto CBD on YouTube? Please connect it here to the strain info page!